An Agreement on Avoidance of Double Taxation (DTA) between Sri Lanka and Luxembourg was signed on 31St January in Luxembourg. Sri Lanka’s Ambassador to Belgium, Luxemburg and the Head of Mission to the European Union, H.E Mr. 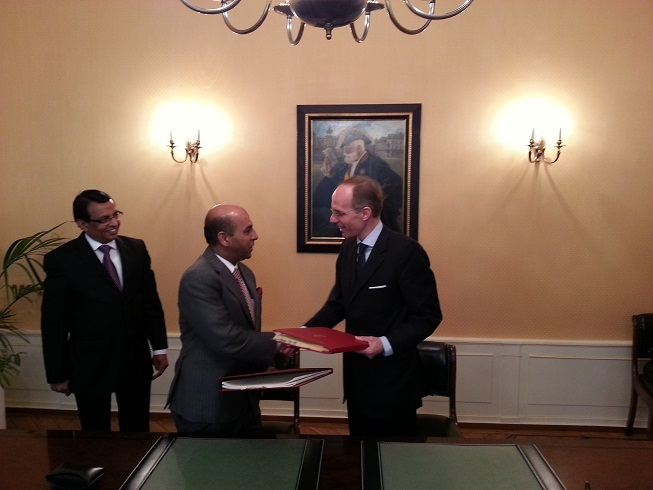 P.M. Amza, signed the Agreement on behalf of the Government of Sri Lanka while Hon. Luc Frieden, Minister of Finance of Luxemburg signed it on behalf of the Government of Luxembourg. The signing of the DTA took place following the presentation of the Letters of Credence by Ambassador Amza, to Grand Duchy of Luxemburg on 30th January. Speaking at the event, Finance Minister Luc Frienden stated that the business community from both countries should make use of the benefits generated by signing this Agreement. Ambassador Amza reciprocating similar sentiments and recalling that in 1982, the two countries agreed and signed an Investment Promotion and Protection Agreement, said that the businesses in both countries could use both these legal instruments on trade to enhance the flow of trade and business activities. Given that both Luxemburg and Sri Lanka are being designated as major tourist destinations, investment projects in areas of tourism, has the potential for mutual cooperation and knowledge sharing. Similarly, it is possible for Sri Lanka to closely work on BPO arrangements for financial services sector in Luxemburg. Luxemburg’s financial and services sector in turn can benefit from the IT based services and expertise of Sri Lanka. This entry was posted on Saturday, February 2nd, 2013. You can follow any responses to this entry through the RSS 2.0 feed. You can skip to the end and leave a response.